as well as rare late-career works by Pablo Picasso in multiple media from ceramic to cardboard. Francisco Goya, 'Termeridad de martincho en la plaza de Zaragoza,' 1815-16, Etching, Image courtesy The Art Company. The majority of the works in the show are on international loan from The Art Company, located in Pesaro, Italy. Goya was fascinated by the concept of the bullfight as emblematic of Spanish history, as was Picasso, and that theme is represented throughout the exhibition, said Dr. H. Alexander Rich, PMA Curator and FSC Art History Professor. 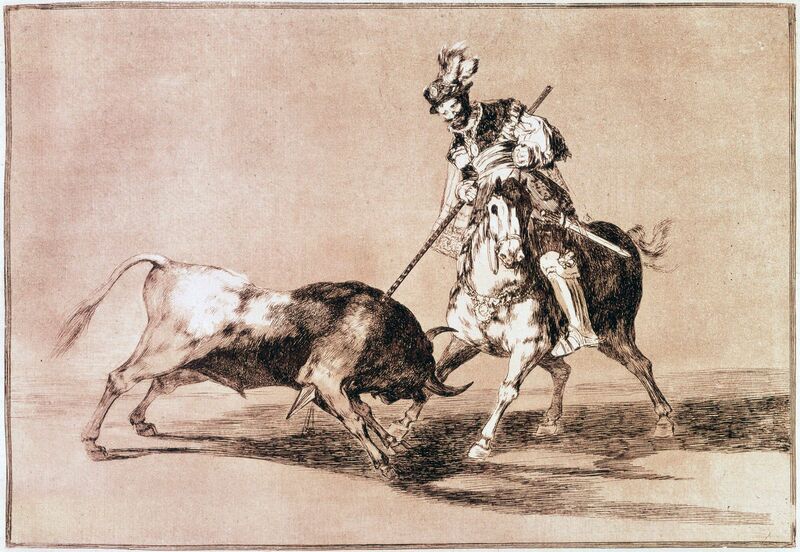 Goya explores the artistry and the violence of the bullfight in the complete 40 prints of the “Tauromaquia” series. 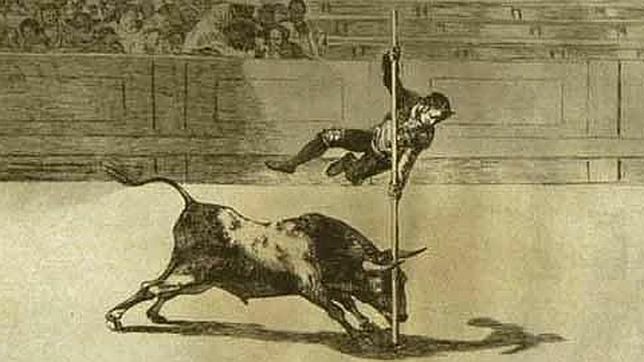 “I believe it can be argued that Goya was trying, through this series focused on the tradition of the bullfight, to revive an element of the collective Spanish spirit, which had been diminished severely following the Peninsular War from 1807 to 1814,” Rich said. 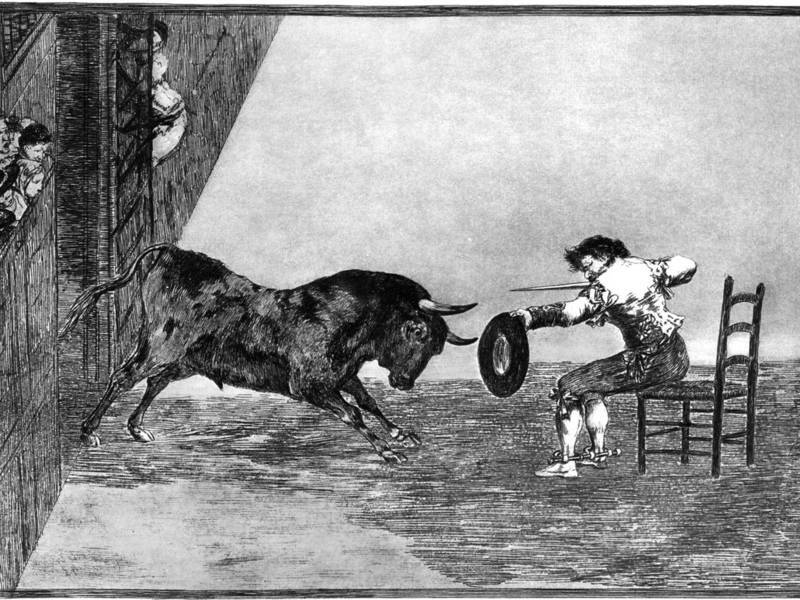 The bull was also an important symbol to Picasso, and the bullfight was something that recurred in his work. He often thought of himself as a bull, as it was the epitome of machismo, Rich said. Picasso’s depiction of the bull is present in his ceramic and two-dimensional work in the exhibition, alongside other frequent Picasso themes including women, his wives and mistresses, and cubistic still lifes. Other notable works in the exhibition come from Picasso’s 1969 “Portraits Imaginaires” series, two pieces on corrugated cardboard representing a king and queen and produced only a few years before his death in 1973. A number of famous ceramic works by Picasso are included in this exhibition, including “Corrida,” “Profile of Jacqueline” and “Tete de Chevre de Profil (Goat’s Head in Profile)” from the PMA’s Permanent Collection. Picasso started working in ceramics in 1946, and the medium became his principal focus for the next nine years. Intentionally imperfect, his works in pottery were all handcrafted, as opposed to spinning on a wheel.